12/8/15 and my blood pressure…112/66. I left the house at 11 a.m. with G. We stopped at the vet’s office to pick up the pups’ heart worm medications. Then we went to Target and wandered around there for a while. 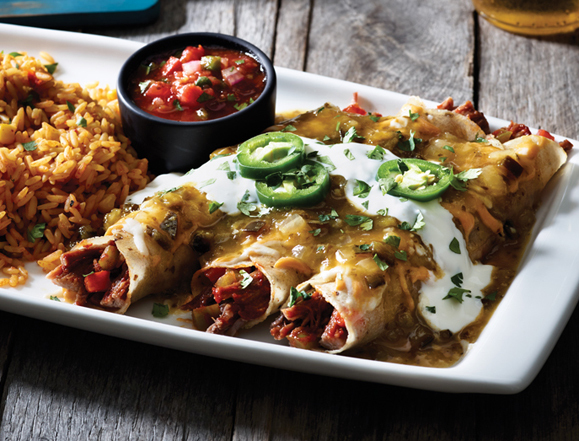 Lunched at Applebees the Loaded Brisket Enchiladas are delicious this is the second time we had them. Next we headed out to the malls. Beginning with a stop at Bed, Bath, and Beyond–we left there empty-handed. Boscov’s netted us several gift items for her youngest grand-daughter and some things for me. Out in the mall we snagged another gift for her other grand-daughter and some water for both of us. Shopping is dry work. 4:00 and time to head home. I reluctantly started my car and left retail therapy for home. Posted on December 9, 2015, in Misc and tagged Author, Caregiver, Disability, Doggoned, Food, Life, Love, Multiple Sclerosis, Writer. Bookmark the permalink. 2 Comments.